Super-resolved fluorescence microscopy provides high-quality imaging techniques which are vital for biological and medical sciences. Fundamental limitations from statistical noise in the signal and the structural integrity of samples which suffer from effects including photobleaching present a barrier to higher resolutions with current technology. This workshop will discuss such limitations and the potential for quantum methods to provide future enhancements to the field. Please register here if interested in attending. 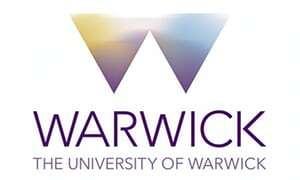 The workshop will take place in P5.23 at the University of Warwick in Coventry, travel advice may be found at https://warwick.ac.uk/about/visiting/. The 2014 Nobel Prize in Chemistry is an award to praise the development of super-resolution microscopy, which has pushed the fluorescence microscopy to a new summit. Although super-resolution techniques have many variances, they can be largely categorized into two: (1) targeted focal modulation, such as stimulated emission depletion (STED); and (2) time-lapse single-molecule localization, such as PALM/STORM. I will introduce three technologies we developed recently. Firstly, with mirror-enhanced super-resolution, we are able to significantly enhance the focal intensity through interference, attaining ~2-fold of resolution enhancement over STED, with the same STED power (MEANS-STED) [1, 2]. Secondly, benefitted from the rich choice of energy levels of upconversion nanoparticles, through cross-relaxation enhanced intermediate state STED, we have achieved 28 nm resolution with only 30mW CW laser power [3, 4]. Thirdly, we have also achieved a new super-resolution technique through the demodulation of fluorescent dipole orientation (SDOM) [5, 6]. The dipole orientation represents the underlying structures it attaches to. A series of biological structures can be revealed by SDOM, but not conventional polarization microscopy. Overall, it is interesting to note that the current super-resolution techniques are all relying on the introduction of a new dimension to resolve the fluorescent molecules from diffraction limit – either from spectrum, or time domain, or through dipole orientation. Yang, X., et al., Mirror-enhanced super-resolution microscopy. Light: Science & Applications, 2016. 5: p. e16134. Graydon, O., Axial super-reoslution. Nature Photonics, 2016. 10: p. 431. Liu, Y., et al., Amplified stimulated emission in upconversion nanoparticles for super-resolution nanoscopy. Nature, 2017. 543(7644): p. 229-233. Liang, L. and X. Liu, STED Nanoscopy Goes Low Power. Chem, 2017. 2(3): p. 331-333. Zhanghao, K., et al., Super-resolution with dipole orientation mapping via polarization demodulation. Light: Science & Applications, 2016. 5: p. e16166. Strack, R., Orientation mapping in super-resolution. Nature Methods, 2016. 13: p. 902. I will discuss some approaches to precise estimation of parameters relevant to microscopy (e.g. phase shifts, molecular concentration) that have the possibility to go beyond the standard quantum limits. Since the inception of ghost imaging in the 1990s there have been many investigations into the applications of the technique. Here we present an examination of the resolution limits of ghost imaging and ghost diffraction. Beyond consideration of these limits, our ghost diffraction is an implementation of Popper’s thought experiment, and while our results agree with his experimental predictions, we show that these results do not contradict the Copenhagen Interpretation. From a single-cell perspective, we can overcome the limitations set by traditional research methods in microbiology, which are based on the measurement of a large quantity of cells. Single cell studies can monitor the dynamic behavior of each individual cell, revealing the great heterogeneity between different individuals. This talk will cover some of our recent works in applying single-cell dynamic imaging techniques. In 2016, by combining single-bacterium fluorescent imaging and sequencing, we revealed the mechanism underlying bacterial antibiotic persistence (published in Molecular Cell, and received editorial comments from Nature and Nature Review Microbiology). In the same year, implementing single-bacterium fluorescent imaging, we characterized the dynamics of Escherichia coli’s passive response to a sudden osmotic shock, unraveling how bacteria managed to survive extreme environmental stresses (published in PNAS). In 2017, by optimizing fluorescent probes, we studied the bacterial flagellar growth in real time, establishing the basic laws governing extracellular protein transportation (published in eLIFE, Nature Communications). Open source software makes an important contribution to modern optical microscopy, but open source hardware, whilst potentially equally helpful, is rarer. We have developed an integrated open hardware framework for single molecule optical microscopy. The WOSM consists of a custom microcontroller, a super-stable optical core and a control scheme that integrates a local, customisable physical interface with a fast, arbitrarily-remote web-browser interface. The heart of the WOSM is its custom-designed microcontroller, the WOSMic (Warwick Open Source Microcontroller). The WOSM macro language that controls the WOSMic is text-based and resembles the ImageJ macro language. The WOSM website, http://wosmic.org, acts both as a server for the scripts, firmware and design files, and as the nexus of a community of mutually-supportive user-developers. The WOSMic and our other WOSM components build into microscopes that are small, cheap, bright, tightly-controllable, highly adaptable and exceptionally physical stable. We will describe the core technologies of the WOSM and initial benchmarking of their performance. The canonical Rayleigh criterion limiting direct imaging can be overcome by so-called superresolution techniques. The majority of approaches to microscopic superresolution relies on nonlinear optical processes and requires engineering of the sample to be imaged. Instead of manipulating light sources, one can alternatively aim to extract optimally information already present in the light naturally emitted by a source. Such an approach can be advantageous in astrophysical imaging or whenever sample degradation becomes important. As a generic example, the measurement optimally suited to determine the separation of two nearby point sources requires a perfect knowledge of the centroid, and, on a single photon level, is fundamentally incompatible with the measurement needed to estimate the centroid itself . We show, theoretically and experimentally, that Hong-Ou-Mandel interference followed by spatially-resolved detection of photons emitted by a composite source effectively implements a collective measurement that overcomes the above mentioned deficiencies allowing for simultaneous estimation of the centroid and the source separation below the Rayleigh limit . The cellular processes underpinning life are orchestrated by proteins and the interactions they make with themselves and other biomolecules. A range of techniques has been developed to characterise these associations, operating from the ensemble all the way to the single molecule level. Structural and dynamic heterogeneity, however, continues to pose a fundamental challenge to existing analytical and structural methodologies, despite being key to protein and drug function. I will present recent developments demonstrating that interferometric scattering mass spectrometry (iSCAMS) can mass-image single biomolecules in solution with simultaneous nanometre precision and mass accuracy comparable to native mass spectrometry in the gas phase. As a result, we can resolve oligomeric distributions at high dynamic range, detect small-molecule binding, and quantitatively mass-image not only biomolecules composed of amino acids, but also heterogeneous species such as glyco- and lipoproteins. These capabilities enable us to determine the equilibrium constants and thereby the molecular mechanisms of homo- and hetero-oligomeric protein assembly, which I will illustrate with heat-shock protein oligomerisation and drug-induced HIV glycoprotein cross-linking. Furthermore, by virtue of the intrinsic nanometre spatial precision, we can mass-monitor the dynamics of mesoscopic objects, such as individual amyloidogenic protein aggregates and actin filaments down to the single molecule level. Coupled with clear routes towards future improvements in mass resolution and precision well below the kDa range and extension towards membrane proteins, these results illustrate how single molecule mass imaging provides universally-applicable and spatially-resolved access to the mechanisms and dynamics of protein assemblies, their interactions and how they form nano- and mesoscopic structures, one molecule at a time. Adaptive optics (AO) has been introduced into microscopes in order to overcome the problems caused by specimen-induced wavefront aberrations. This is particularly important when focusing deep into tissue where the cumulative effect of focusing through the refractive index structure of the specimen causes significant wavefront distortion. These AO systems employ a dynamic element, such as a deformable mirror or spatial light modulator, to correct aberrations, restoring image quality. Adaptive optics has been demonstrated in a range of microscope modalities including conventional widefield microscopes as well as laser scanning systems with various applications in biomedical imaging and other areas. Adaptive microscopy has most recently been developed for super-resolution microscopes – or nanoscopes – which enable resolutions smaller than the diffraction limit of light. We report on a range of recent advances in this field, including applications in cell biology, neuroscience and other areas. Lijian Zhang. Department of Quantum Electronics and Optical Engineering, College of Engineering and Applied Sciences, Nanjing University. Weak measurement can dramatically amplify a small effect, therefore has received increasing interest in metrology [1, 2]. Yet the amplification effect of weak measurement comes at the cost of a reduction in the rate at which data can be acquired, due to the requirement to select almost orthogonal pre- and post-selected states. Therefore whether weak measurement can really enhance the measurement precision or even beat the classical limit has been under debate for long time [3-5]. Here we experimentally investigate the performance of weak measurement in tracking of light beam displacements with a scientific CCD. We show that, with the presence of classical noise and detector saturation that are ubiquitous in CCD arrays, weak measurement outperforms conventional measurement in terms of measurement precision. Our results foreshadow the applications of weak measurement in quantum-enhanced imaging.